The most sophisticated, most important music and sound instrument of 2014 is – your hearing. But the best hearing protection is simply the one you’ll always use. 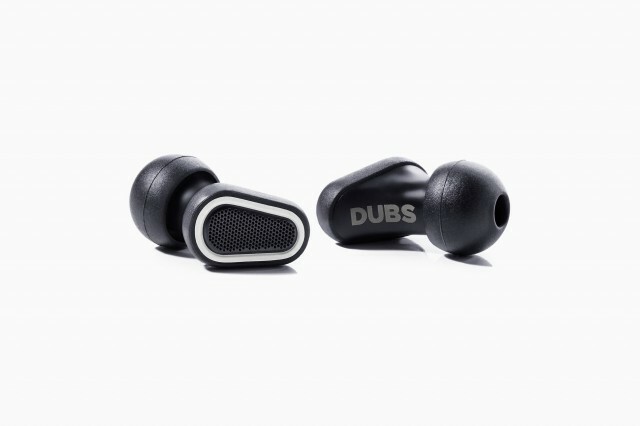 And that’s why DUBS are the best product of 2014. 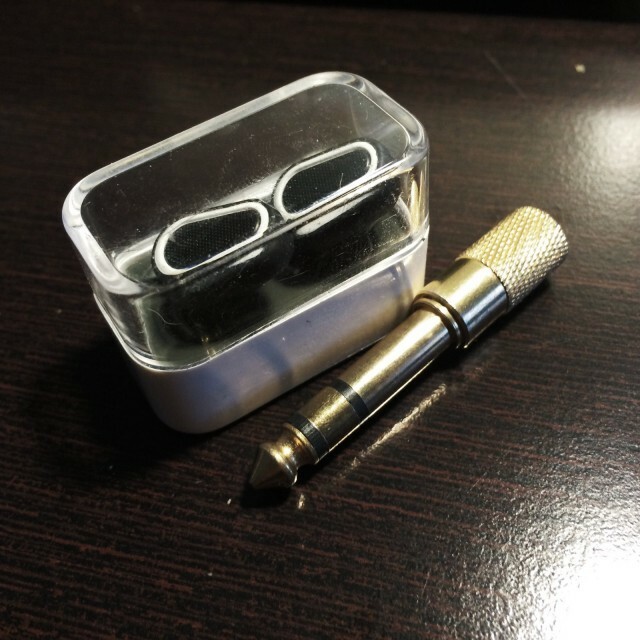 Then, there are the inexpensive earplugs. I think these may actually be doing more harm than good. They feel uncomfortable. They pop out. Then, at best, they sound absolutely terrible, just slightly worse than sticking your fingers in your ear and putting your head under a pillow. They train people that protecting your ears means not hearing a concert or event. I see people with toilet paper stuffed in their ears. This has to stop. I was skeptical, but these really are incredibly comfortable to wear – and you don’t feel like a dork. Here’s what matters: they sound absolutely fantastic. 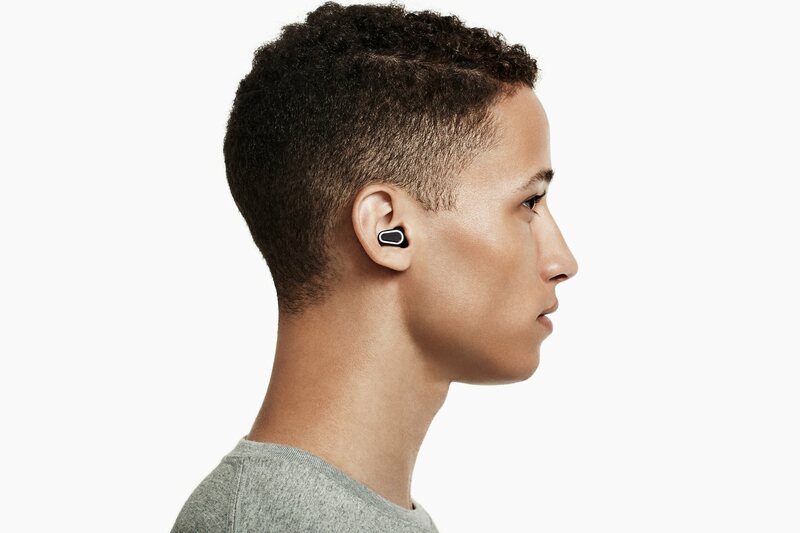 The filtering is good enough in club and concert environments that I’ve repeatedly forgotten I was wearing them or been convinced they had popped out. And I, like you, get pretty picky. DUBS says they deliver 12 dB attenuation. There are ear protection products that certainly offer more, but that’s enough to mean the difference between your ears ringing (ominously) after an extended plane trip or show. The packaging works well enough as a carry case. And it’s the experience that is the most encouraging. It really does sound like someone dropped 12 dB but changed nothing else. I grabbed a pair of DUBS in a Best Buy in New York (after a whole lot of confusion about what they were and where they had walked off to), catching a flight back to Berlin. I was convinced my ears couldn’t stand another night of techno. I stood by the DJ booth at Berghain last week and tried taking them in and out while watching the SPL meter. I think these things are simply unreal. It was fitting that, in advance of the European launch, Hans Zimmer helped launch these this year at Amsterdam Dance Event. Whether or not DUBS specifically are right for everyone, we need to at least start convincing friends – professionals and non-professionals alike – to protect their hearing health. Even if we’ve already experienced some hearing loss and tinnitus, we can help make sure it doesn’t get worse. And that’s one New Year’s Resolution worth keeping. Happy New Year / guten Rutsch, everybody. Definitely worth reading through the comments for some other ideas. Going to a hearing clinic and getting a custom-molded set may still be a good option. I think the point is, get one of these you like, whatever it is. The foam earplugs I never found to be comfortable or to attenuate sound in a way I liked; then again, I know others who swear by them, so a lot of this is down to personal preference. 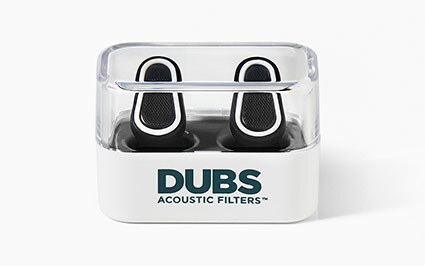 I do suspect the three acoustic filters (Alpine, Etymotic, and Doc’s) are probably better buys (and easier to locate) than DUBS. The Etymotic and Alpine I will try to locate and test right away. Readers note that they may deliver both flatter and more effective attenuation, which is what you want. But the very complaint from some readers about DUBS – that they’ve been getting loads of mainstream press – is to me a plus, not a minus. Your average music producer, let alone your average music listener, is going to have no idea that a product named Doc’s that looks like it’s for surfers is going to be for them. I sincerely hope DUBS get some wide attention and distribution and that people start using hearing protection. And certainly it’s nice to have a product with a fresh take on design. I was out of time in 2014, but now there’s a chance to write more about this issue in 2015.